Core Health Products is a culmination of over 75 years of nutritional expertise, product formulation, health education, and hands on experience with the end user in mind. 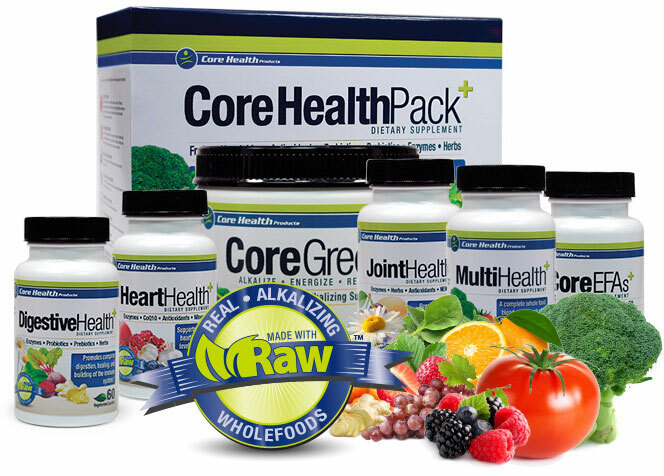 Core Health Products uses only the best and most natural whole food ingredients along with organics when available. You will never find synthetics or fractionated nutrients. Each and every ingredient has been carefully selected to fulfill a specific need with the most bio available delivery system for proper utilization. Your body deserves the best nutrition it can get, and that is precisely what the Core Health Products deliver!